My team values Equality, Diversity, Responsibility and Integrity. What do you value? That's a very important question when addressing the issue of retirement. Your vision of retirement may be entirely different from how your friends envision their "golden years.” Have you considered the questions below? Am I emotionally ready to move into a new chapter in my life? What do I most value in life and how does that fit into my retirement plan? When can I afford to retire? Will I need to work part time? What happens when we experience the next bear market? Will I be able to manage the household finances if my spouse predeceases me? Who are the right people to turn to for help? The good news is that there are financial professionals who can help you answer these questions and others that you might not think to ask. I work with your other advisors, like your CPA, to ensure that you are prepared when it’s time to retire. 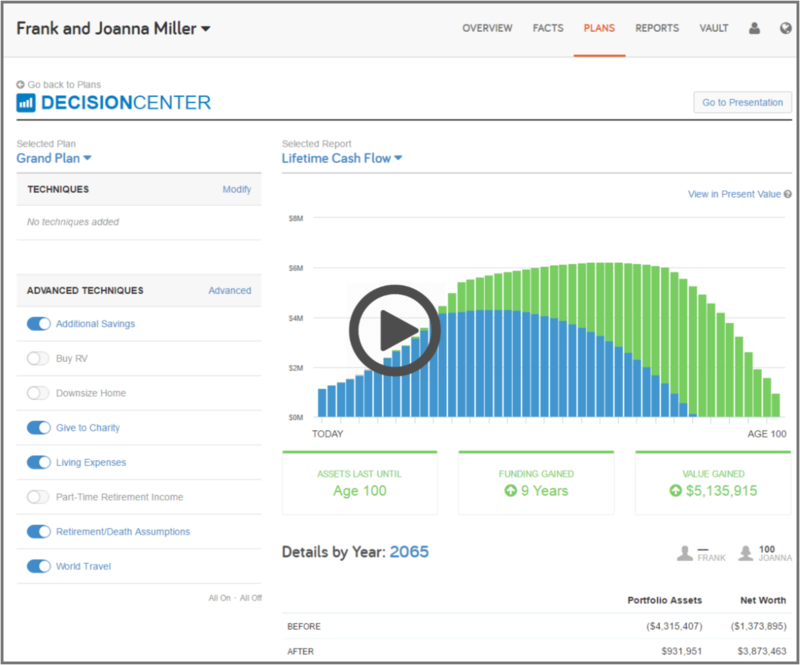 Learn if your portfolio assets and other income will stretch throughout your lifetime. You can also find out how much to start saving now to ensure that you do not end up "in the red". Start the video below to learn more about the realities of retirement costs and how to plan ahead. Copyright © 2000-2018 eMoney Advisor, LLC. All Rights Reserved.